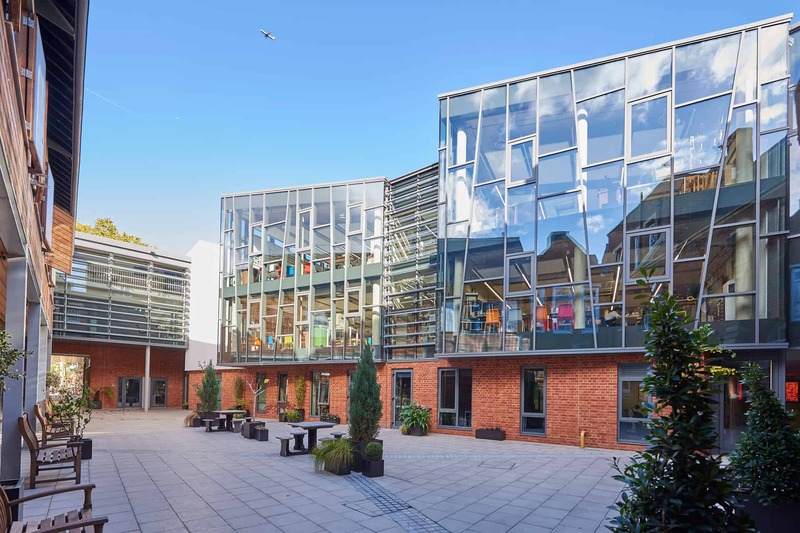 Emanuel School was founded in 1594 and for many years we have worked in collaboration to create a range of new spaces for the school, including a library, ICT suite, and the Fiennes Theatre. 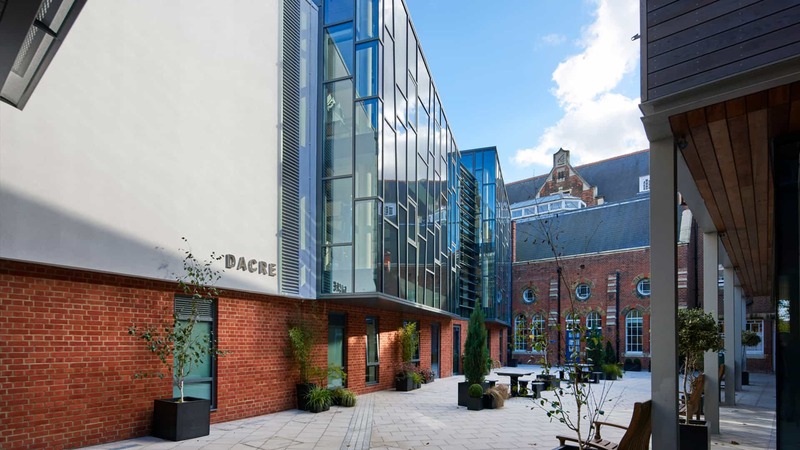 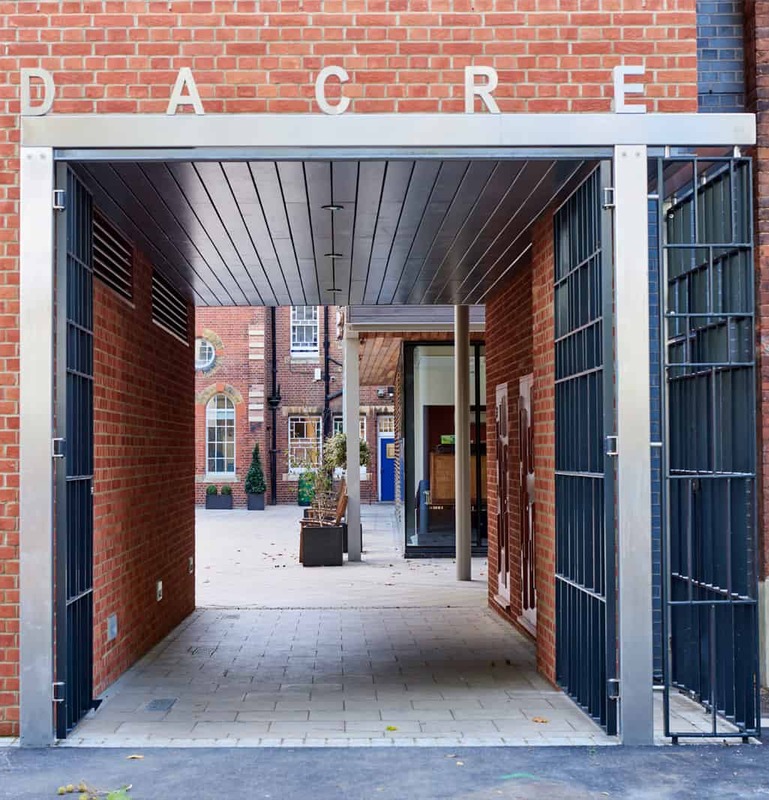 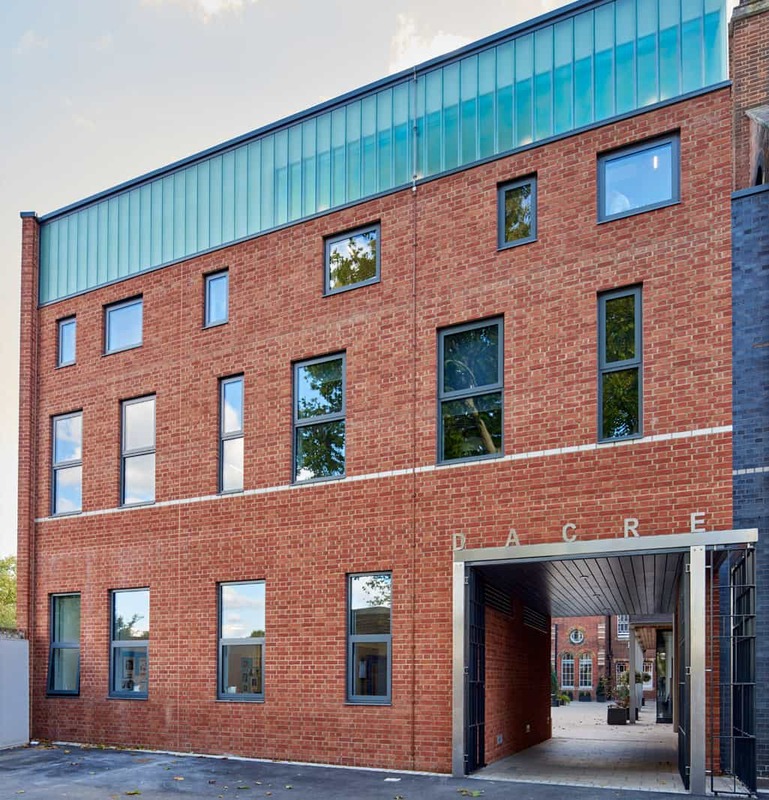 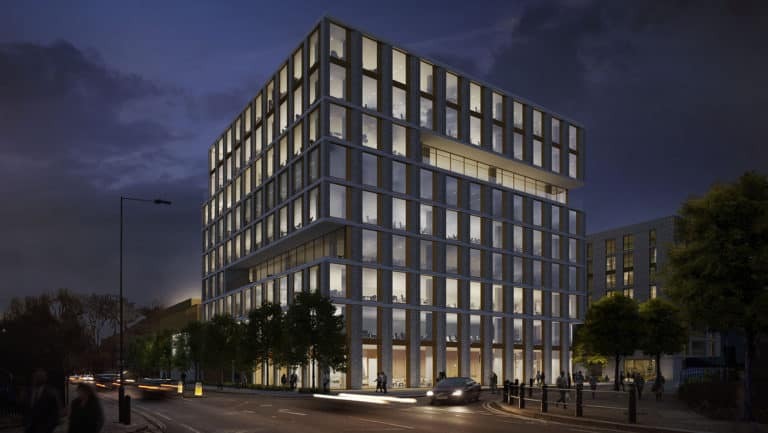 The most recent addition was the Dacre Centre: a three-storey arts and humanities block that interlocks with several existing buildings to maximise space. 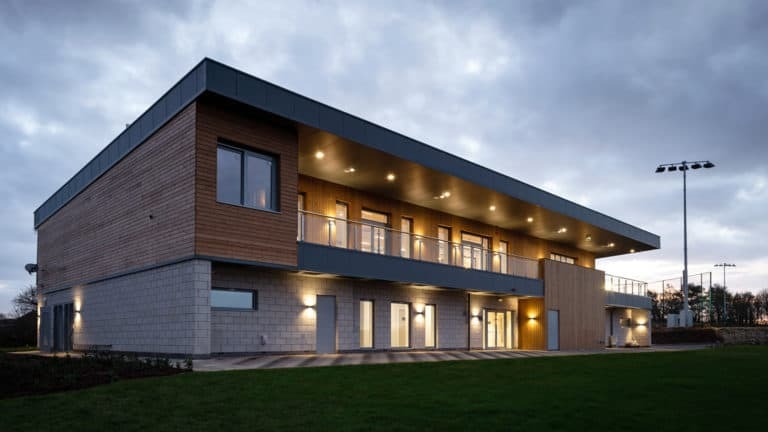 Working with Horsley Huber Architects we helped create a high-quality exposed concrete frame housing several classrooms, as well as a soundproof music room, pottery studio and dark room. 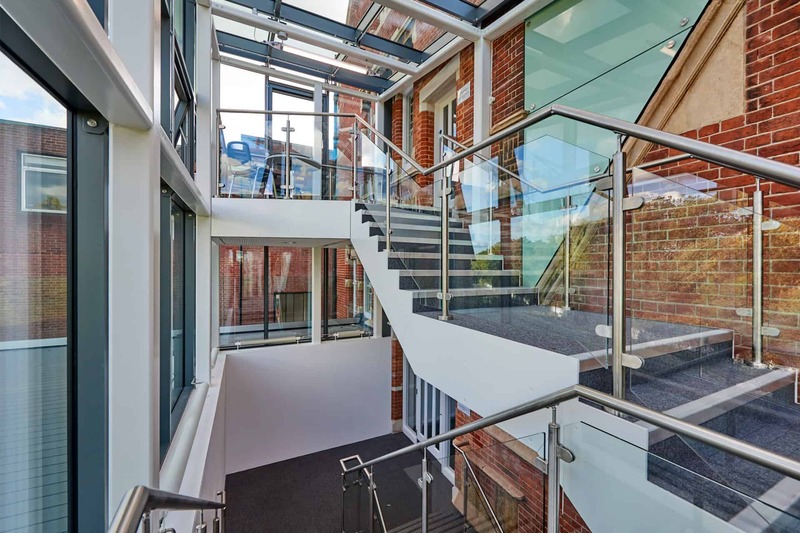 A glazed walkway connects the block to the theatre. 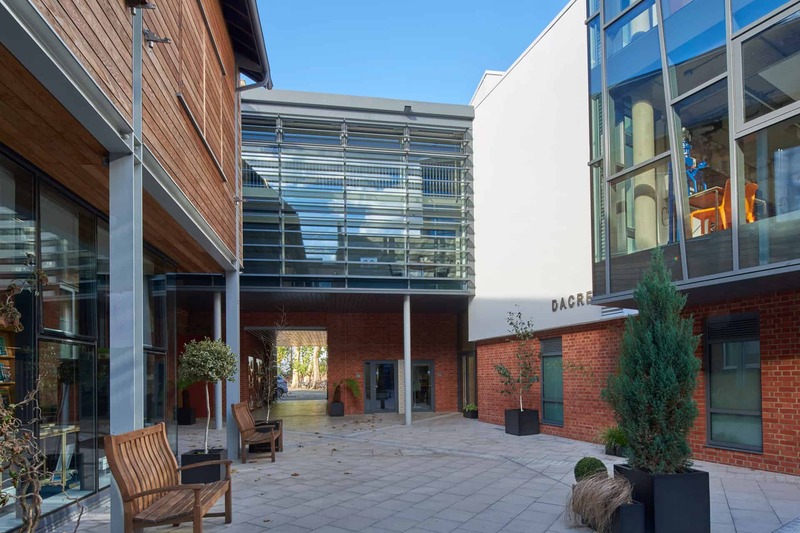 We are proud of our 10+ years of partnership with Emanuel School. 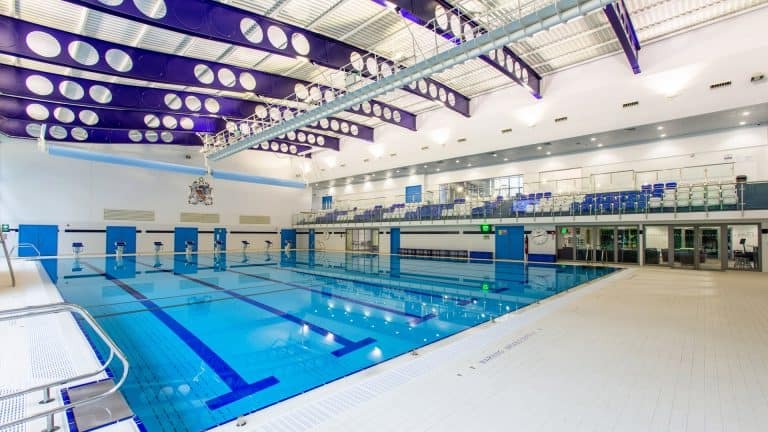 A new £9m swimming pool and sports complex for this prominent independent school in Elstree, Hertfordshire. 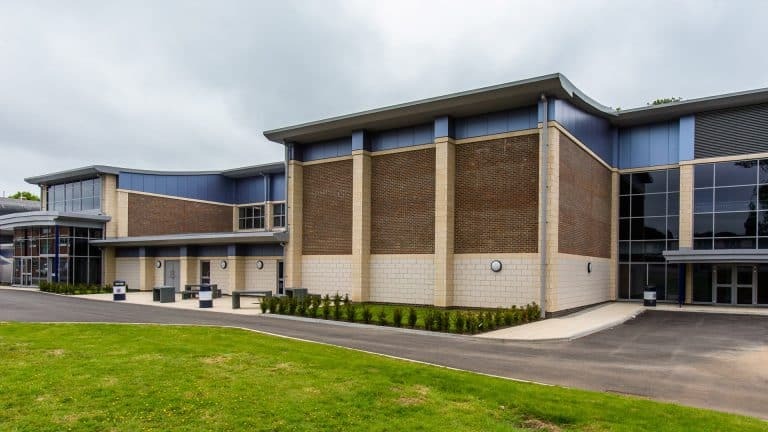 A 44m, double-curved ‘wave’ roof brings this dramatic sports complex to life.